We dispense methadone to help those struggling with opioid dependence. 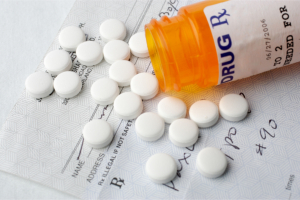 Taking methadone is one method that is used to treat the opioid dependence of individuals who are addicted to illegal opioids and prescription opioids. Methadone can also be used to relieve the pain of those who are terminally ill and those who have chronic pain. Pregnant women may also take this to keep the fetus protected and to improve their chances of giving birth to a healthy baby. Methadone maintenance can also help those who are HIV or Hepatitis-C positive. Whether you have chronic pain, are pregnant, or have loved ones who are dependent on opioids, Eramosa Pharmacy can provide you with the methadone you need, in accordance with the guidelines established by the Centre for Addiction and Mental Health. Kindly call us at 519-265-5251 or email eramosapharmacy@gmail.com for more information.